The Gro Hush didn't let me down and with one twin over each shoulder, I switched the Gro Hush on to the heartbeat sound and they both calmed down and fell straight to sleep. 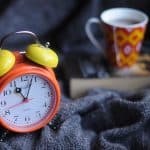 Working as a Maternity nurse with newborn babies, I am a big fan of white noise in calming and using to help send the babies I look after, off to sleep. I recommend white noise as a good sleep cue to parents who contact me via our forum and also highly recommend it in my book, The Blissful Baby Expert. 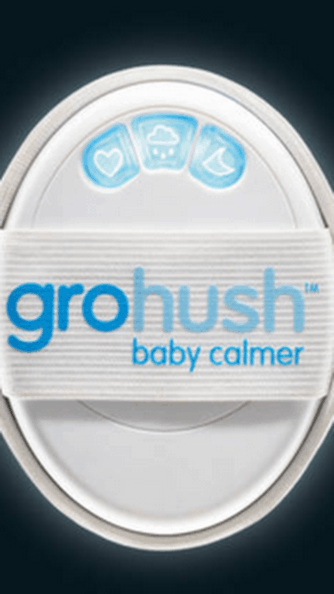 So when The Gro Company contacted me and asked if I would like to review their new product, the Gro-hush, which is a portable white noise calming device, I was thrilled. 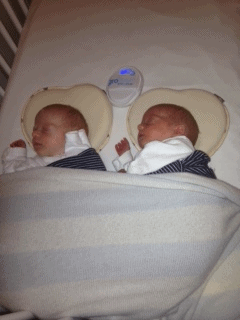 I am currently working with newborn twins, who I will be with until Christmas, and The Gro company very kindly offered to send 2 of the Gro-hush-one for each twin. 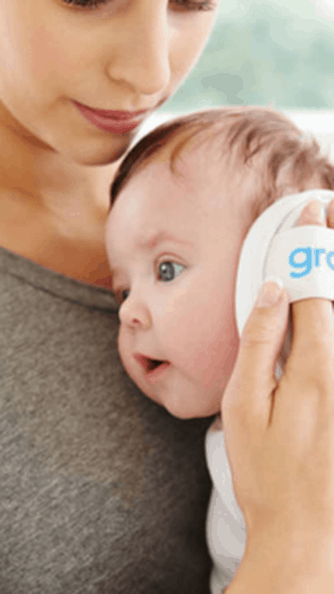 The gro hush transmits soothing white noise to your baby to calm and relax them after feeding and help them fall asleep. And they are all set at a safe volume. My husband very kindly put the batteries in for me before I left for work one evening, (requires 3x AAA-not included, and a Phillips screwdriver to fit) and I practically had to wrestle it off him, as he sat holding it close to his ear, testing the white noise sounds out and telling me he needed one! I took the Gro hush to work and was met with 2 unsettled babies, so I was able to test it out straight away! 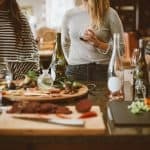 The twin girls I'm working with are already used to white noise as I have been using an app on my phone for the last couple of weeks, so I was hopeful they would respond well. 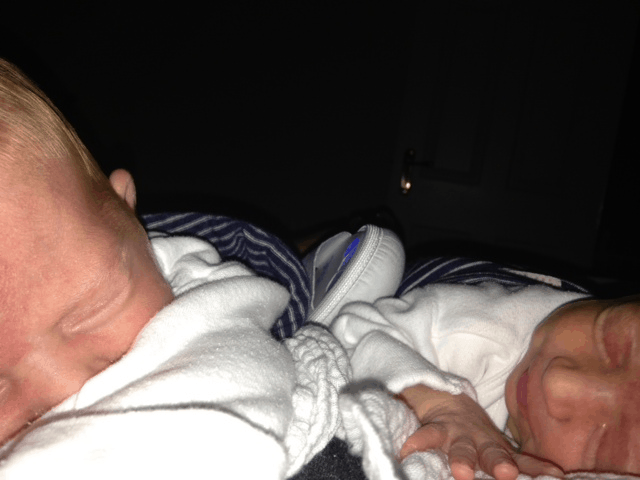 They didn't let me down and with one over each shoulder, I switched the gro hush on to the heartbeat sound and they both calmed down and fell straight to sleep. Since then, we have continued to use the gro hush in the cot if they are unsettled. Sometimes all I need to do is switch it on as they are stirring and they immediately resettle. Having 2 means if one twin wakes and begins crying, I pick her up and use one gro hush to settle her and also switch the other one on in the cot to keep the second twin calm and quiet to stop her waking up with any noise her sister may be waking! 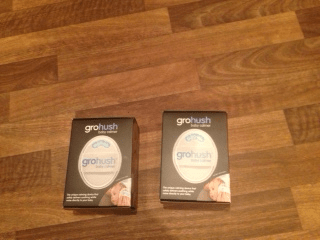 They have also offered to provide anther Gro Hush for me to offer as a competition prize to one of my lucky followers. If you have a UK postal address and would like to enter our competition then please SHARE this post using the links and comment below. The competition closes on Saturday 15th November and the winner will be picked at random and announced shortly after that date. Please remember to Like and hare this post with your friends! These sound great, I resorted to trying white noise the other day and little one responded really well but using youtube on my phone the battery very quickly ran down! Liked and shared on Facebook. 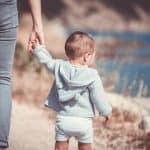 I used a white noise app (on your advice)with my son and it really helped to soothe him. I’m expecting baby number 2 in May and plan to use white noise much earlier. 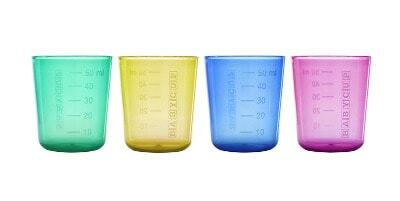 This product looks brilliant. This looks like an excellent product! This product is a brilliant idea, both my husband and I have white noise apps on our phones but being on our phones we still find that we can’t always use them every time our baby needs it. Liked and shared on Facebook. This product looks amazing would love to try with my daughter. I already use an app on my phone but this would make like so much easier and save my phone battery. Looks small enough to carry in baby bag so would be great for naps as my daughter really struggles to settle for sleeps in the day. white noise is amazing!! Liked and shared on fb. Looks like a great prize! My first baby’s due in Jan and I’m sure this would be useful! What a clever idea! This seems like a lot safer than using a white noise machine or app because it’s set at a safe volume, and it’s easy to use. Would love to try this when my baby arrives in February! Looks great! liked and shared! Sounds like a lifesaving device. I currently play a melodic song to my babe via YouTube on my iPhone to calm her but it’s only two minutes long so I have to sit and refresh the page til she’s nodding off! Would love this for my yellow bump due in less than 5 weeks! would love this. I used a white noise app on my phone but I always had to go back in to rescue it when I wanted to use it! Great idea. 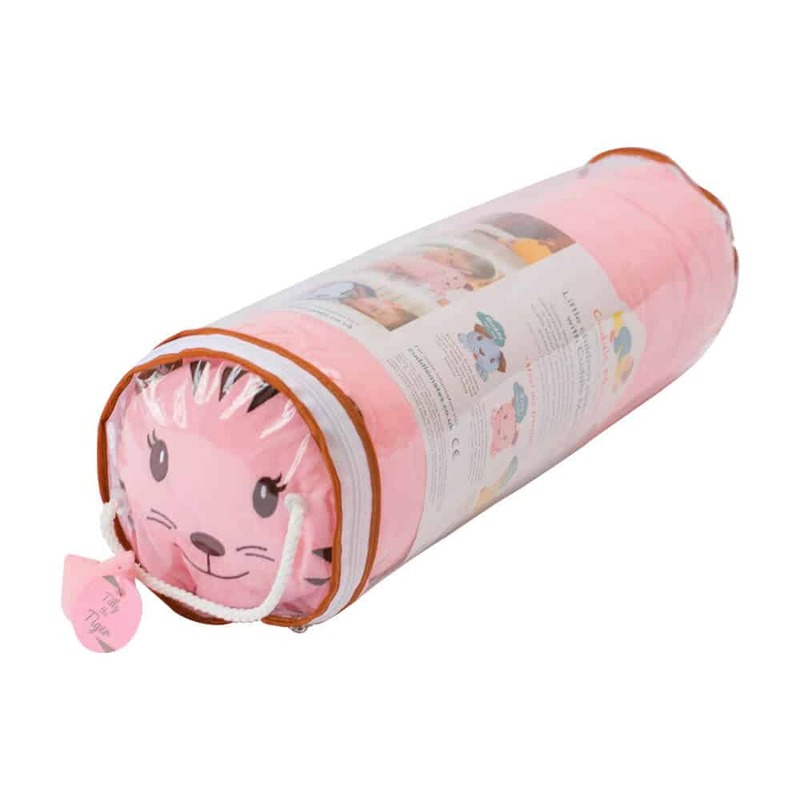 Would love to try this on my baby to see if the soothing sounds help with the transission of moving into her siblings room. This sounds amazing. My 5 month old likes the noise from the tumble dryer at the minute!